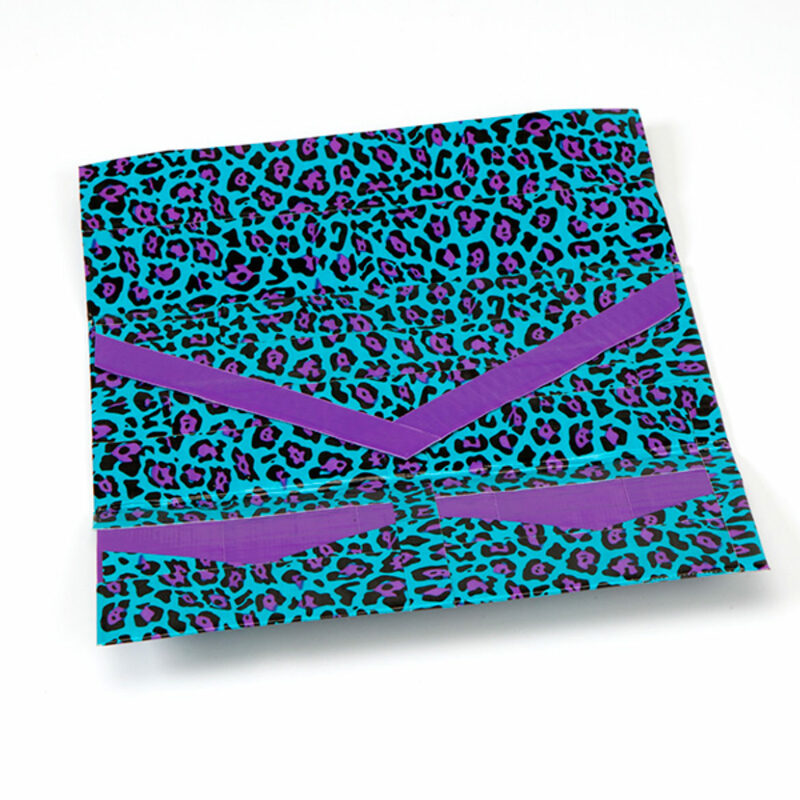 For the 2 credit card pockets, make a double sided strip of Duck Tape® that is 8 in. long. 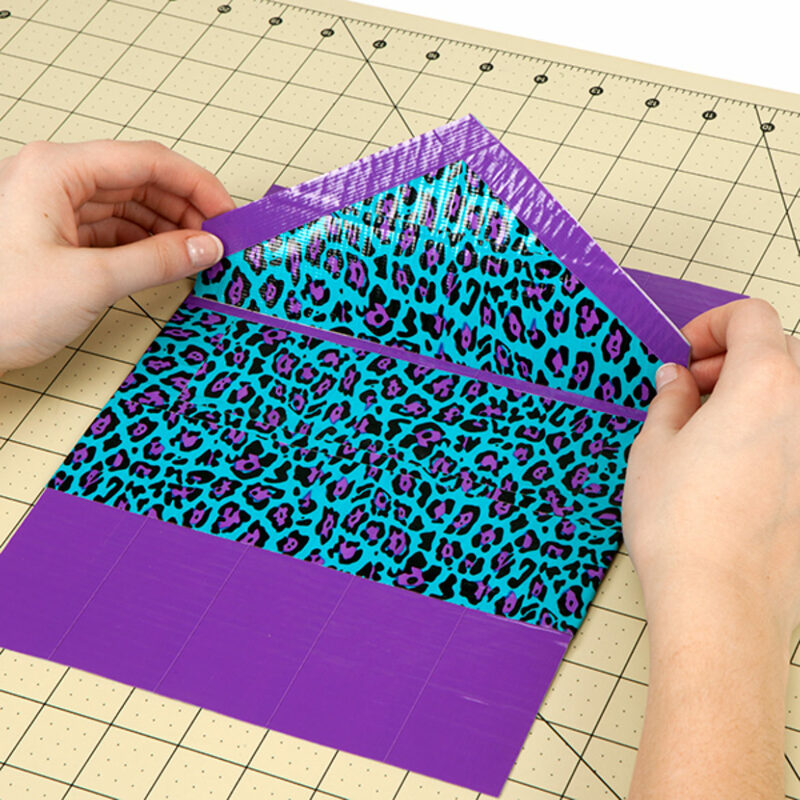 Fold the strip from step 2 in half and cut out a triangle. 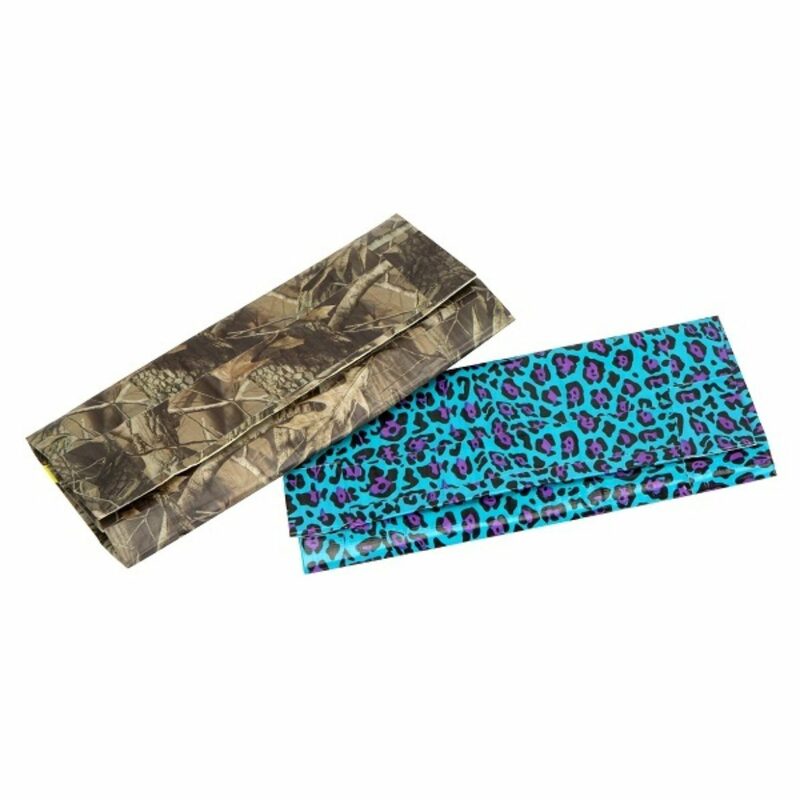 For the middle pocket and flap, make two double sided Duck Tape® fabrics that are 8 in. long and 3.5 in. wide. Set one aside. Take one piece of fabric from step 4 and fold it in half. Measure 1 in. from the bottom and cut until you’ve reached the top of the fold. Unfold your fabric and trim off any excess. 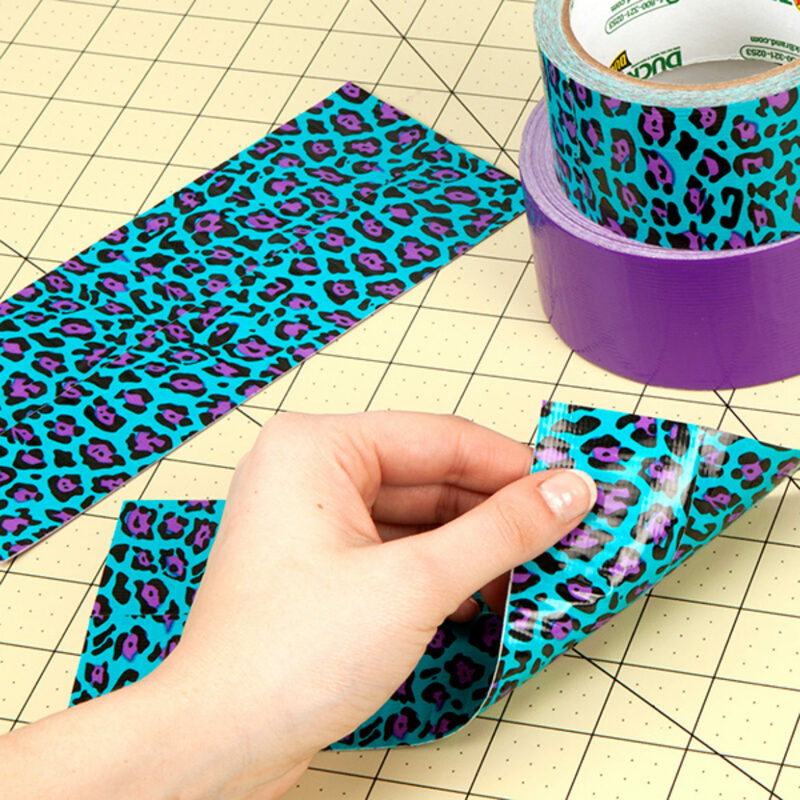 Layer the edges with a different color Duck Tape®. This will be your flap. 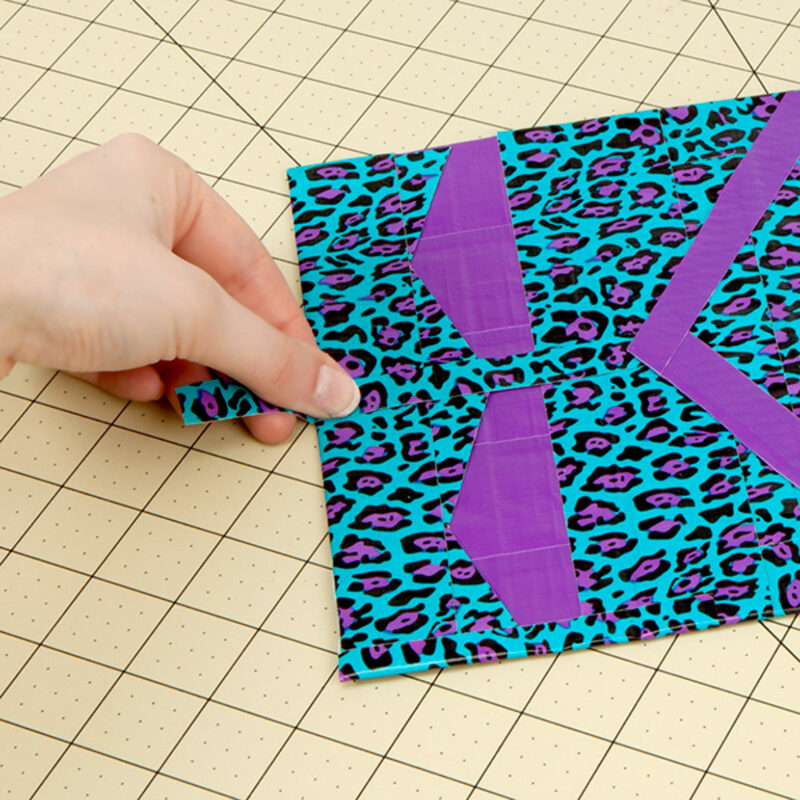 Take your fabric from step 1 and fold both sides evenly toward the middle to make your trifold. Firmly press down on each fold and then unfold. Take the piece you set aside in step 4. 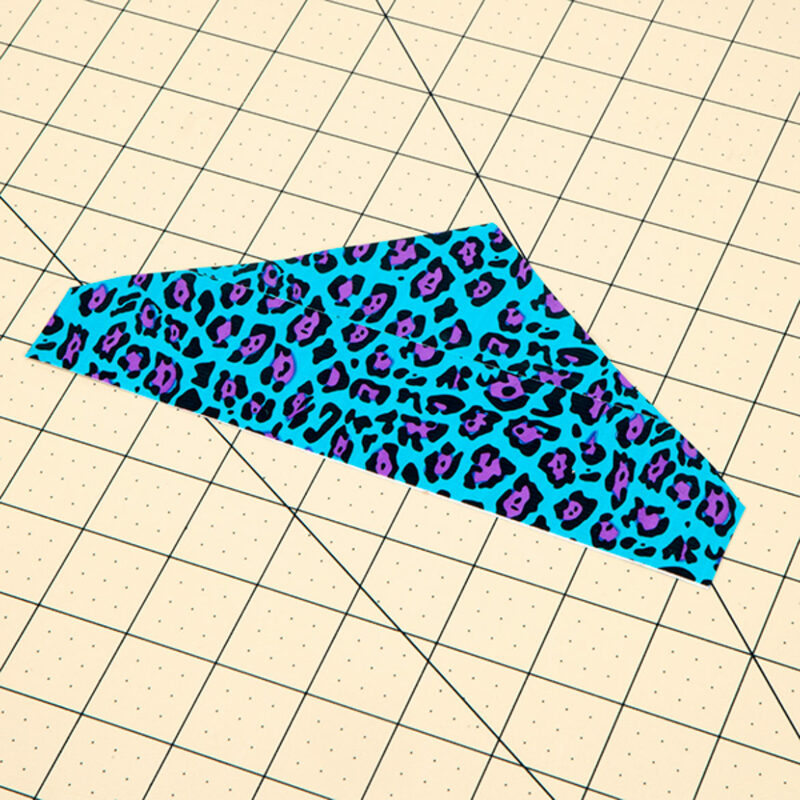 With the solid color down, attach the bottom and sides of your fabric to the piece you just unfolded in step 6. 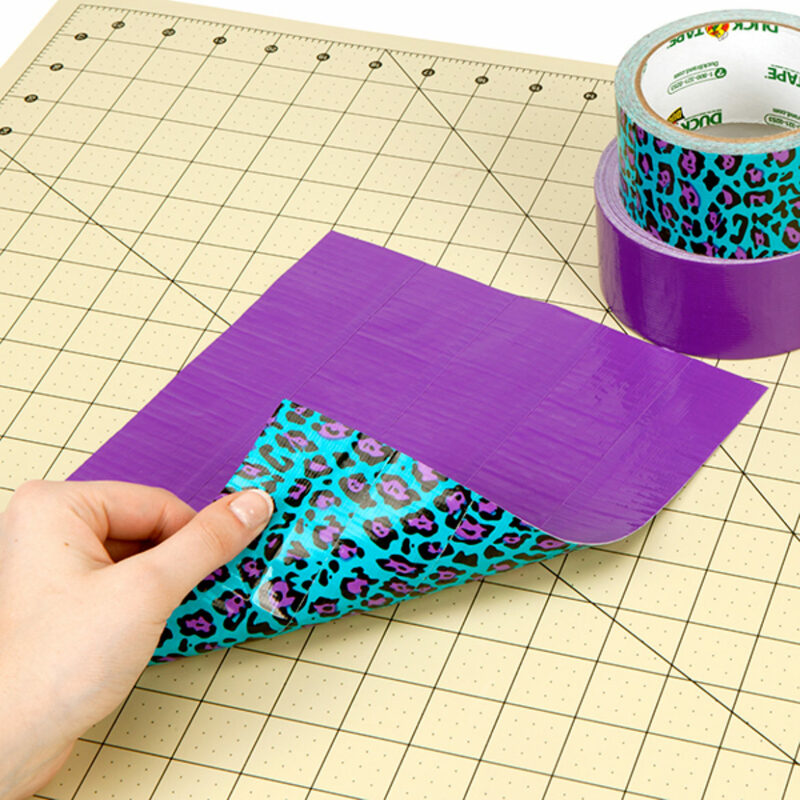 Take your flap from step 6 and, slightly overlapping your pocket, take a strip of Duck Tape® and attach your flap to the fabric. For your credit card holder, take the piece from step 3, line it up at the bottom of your fabric and place a strip of tape along the sides, bottom and in the middle of the 2 holders. 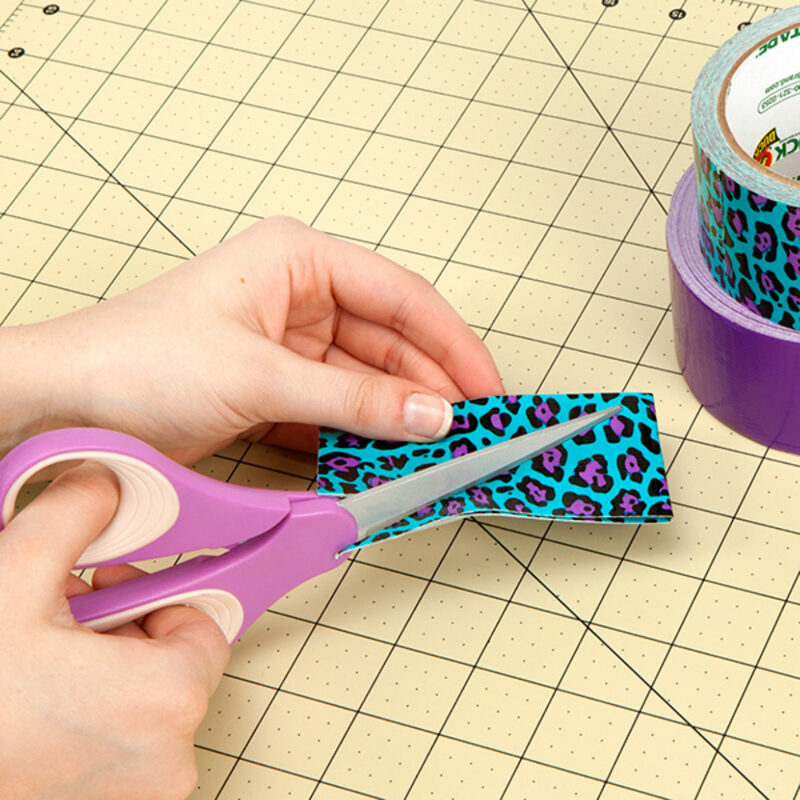 Cover any solid color Duck Tape® with printed Duck Tape®. Add a hook and loop fastener to secure your clutch.